I’ve got to be honest, I have always looked at this passage and thought, “if you have faith (as small as) a mustard seed-” thinking of it as Christ’s admonishment on the size of our faith, as if our faith is not even the size of a tiny grain of mustard. 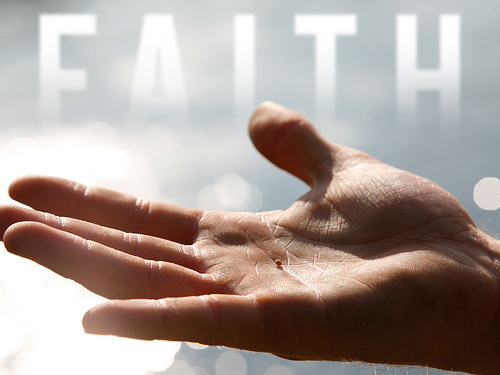 Today, an entirely different meaning jumped out at me- Faith LIKE a mustard seed. The mustard seed has faith that it will grow into a mustard plant. It knew what it was…that it was a seed of mustard, not an apple, not a grain of wheat, but of mustard. My friend said the other day, “the full revelation of the oak tree is within the acorn.” The acorn doesn’t go around believing that isn’t an oak tree…or that it’s a broken oak tree….or that if it wil just find a way to get far enough in the meadow it can grow into a full grown oak tree….no, the full revelation of the oak tree is held within the acorn. We are fully adopted sons and daughters of the King of kings and heirs to the Kingdom of God. The full revelation of who and what we are was sealed in our hearts the day we chose to seat Christ on the throne there. the size of our faith is not the issue…it’s the understanding of our identity. We live not in a state of little faith, but in one of unbelief….about who and what we are. We must learn to be an acorn that knows it’s an oak tree. We must learn to be a mustard seed that knows it’s a mustard plant. We must learn to be a child of God that knows that we have already inherited the Kingdom of God.